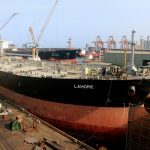 Shipyard a hive of activity, plays a major role in providing full-service repair facilities located inside the very port of Colombo in the drive of gaining “Maritime Hub status for Sri Lanka” in the global landscape. 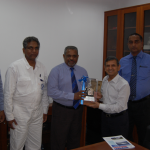 Colombo Dockyard PLC, Sri Lanka’s premier ship repair and shipbuilding facility celebrates its 44th anniversary on the 1st August 2018. 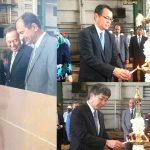 Incidentally, this year also marks the 25th anniversary of the collaboration with Onomichi Dockyard Company Ltd of Japan. 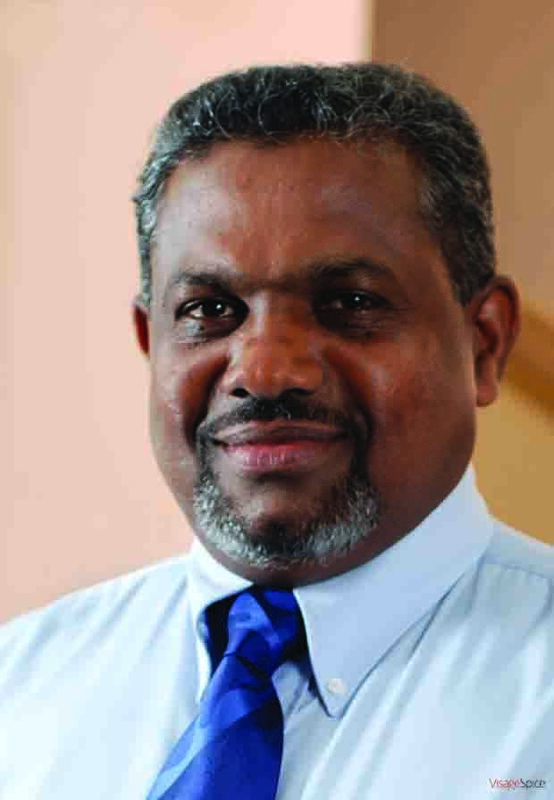 The collaboration enabled Colombo Dockyard to blend Japanese technological know-how with the skill and competence of a fully Sri Lankan workforce. Colombo Dockyard is considered as the Flag Ship investment made by Japan in Sri Lanka. During its long and exciting journey, the shipyard has offered repair assistance to over 10,000 ships and have contracted over 245 new ships for both local and international clientele. 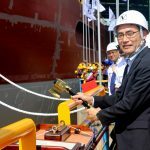 This indeed has been a remarkable journey, for a shipyard which started off with a humble beginning now to be recognized as an internationally acclaimed, modern, integrated shipyard. Located inside the port of Colombo, the shipyard provides an essential service to ship owners patronising Colombo as well as regional waters. 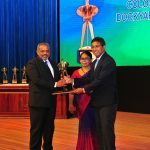 Since its inception way back in 1974, Colombo Dockyard has been on national duty and is one of Sri Lanka’s largest foreign exchange earners, generating an average annual turnover of around US$ 90 million. 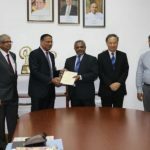 In addition to the economic benefit, the socio-cultural benefit it provides to the country is immeasurable, providing employment to over 3000 Sri Lankans, and developing the indigenous industry in the country and placing Sri Lanka in the world map of elite Shipbuilders. 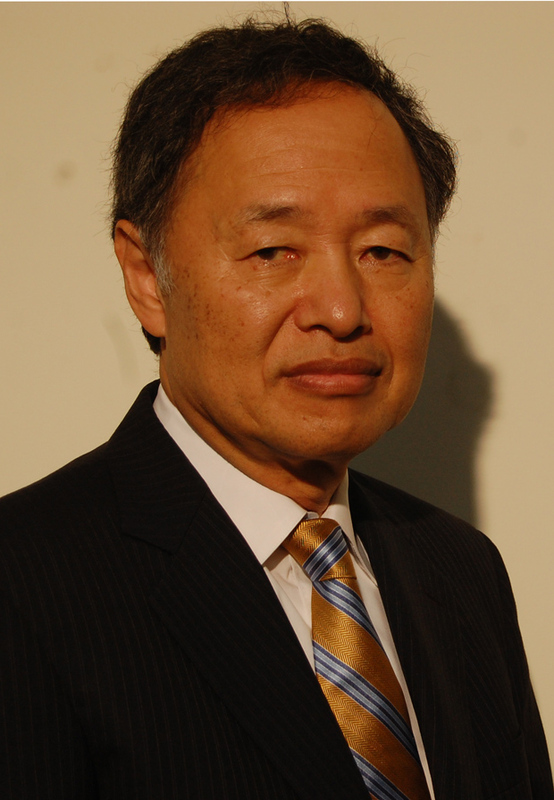 The impetus for the good work performed by Colombo Dockyard is the guardianship of Onomichi Dockyard Company Limited of Japan which has enabled Colombo Dockyard to offer Japanese quality products and service standards, guaranteed delivery times, at highly competitive prices and maintaining its market competitiveness over the past years. 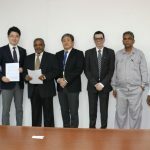 Presently Colombo Dockyard is building a high technology Cable Laying Vessel for Kokusai Cable Ship Co., Ltd., of Japan, which is intended for subsea operation and cable installation and repair works of optical cables as well as power cables with a cable carrying capacity of 5000 tonnes. For the handling of power cables, the forward tank has been fitted with a carousel system with a Spooling Arm. This vessel has many special features including low resistance hull lines designed for speed and low fuel consumption and is diesel-electric propulsion driven. The vessel is eco-friendly, enabling high reduction of harmful emissions, waste storage solutions, water ballast treatment, eco-subsea coating scheme etc… for the environmental protection and is capable of operating in ‘emission control area’. 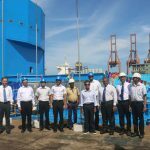 In addition to the Cable Laying Vessel, Colombo Dockyard recently contracted to build a specialized Catamaran hull Pilot Station Vessel and a Buoy Tender Vessel for General Company for Ports of Iraq through Toyota Tsusho Corporation of Japan. The Pilot Station Vessel is suitable to perform multi-purpose roles, such as Transport Pilots and Provisions, Provide Pilots with Accommodation Services, Provide Station and Necessary Support for Pilot Boats etc… in unrestricted waters. 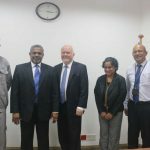 The Colombo Dockyard’ ship repair sector has been providing required repair support regional owners as well as international ship owners over the past four decades. The shipyard has been successful in serving the regional and international owners requirements efficiently, gaining the confidence of the ship owners. The shipyard is currently busy with repairs to MT. Desh Bakht, MT. Samudra Ratnakar owned by Shipping Corporation of India (SCI), MT. 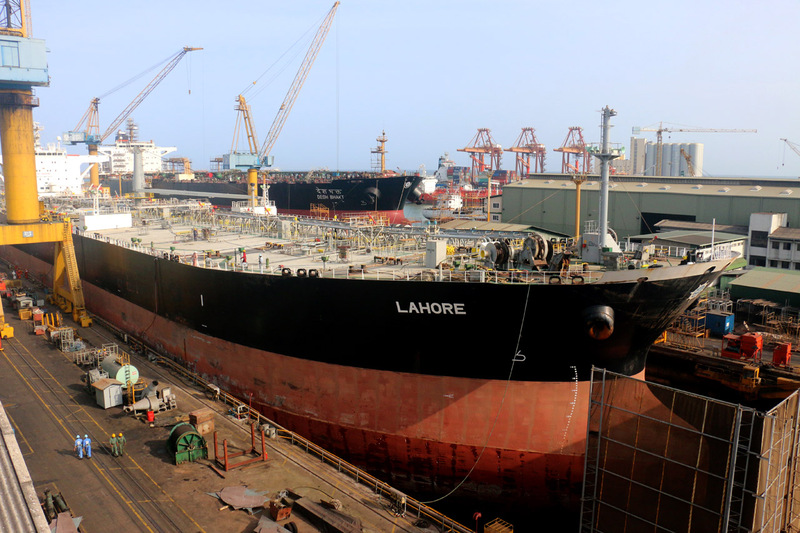 Lahore owned by Pakistan National Shipping Corporation, MV. TCI Surya owned by TCI Seaways, India, LPG Sigas Ingrid managed by Swan Shipping Corporation, Philipines and MV. Niumath owned by Midsea Shiping Lines, India.  Colombo Dockyard has had its Quality Management System (QMS) certified, since 1999, to the ISO 9001: 2015 standard. The Occupational Health & Safety as well as Environmental Management System in accordance with the requirements of OHSAS 18001: 2007 & ISO 14001: 2015 standards. Meeting the global industry requirements for a full-service dynamic shipyard. With the visionary guidance of the Chairman Dr Toru Takehara and pragmatic leadership of the Managing Director/ CEO Mr D.V. Abeysinghe, Colombo Dockyard is indeed set to reach newer heights in the odyssey of excellence.